We now have a pretty cool Rock-Ola 440 (1968/69) jukebox at the shop. We are just getting it loaded up with 45s and still need to write out the catalog papers then it is ready to rock. So grab some quarters, come in to check out some songs on the Rock-Ola and at the same time support an amazing program at your local library. 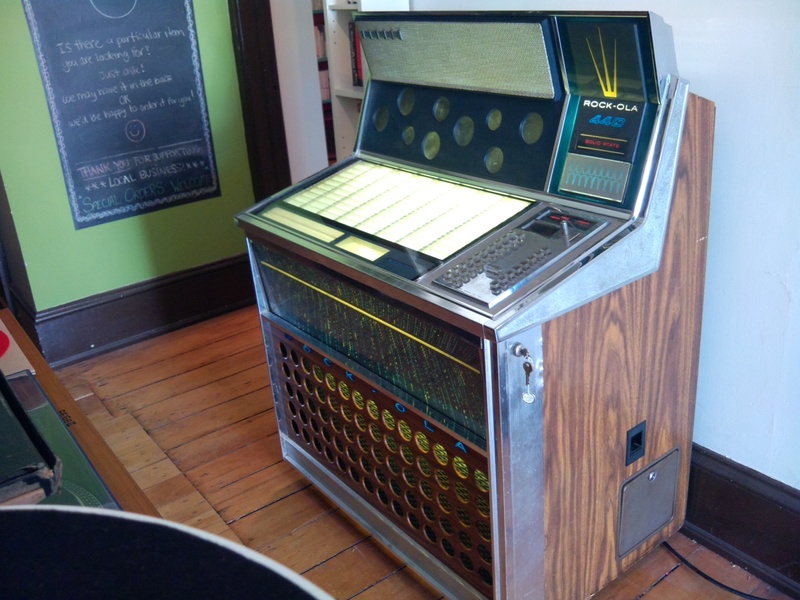 The jukebox is for sale for $895.00 and comes with a 90day warranty. For more information on the jukebox, please drop by the shop, send us an email or give us a call. When we do sell the jukebox we have another one lined up so we will continue to fund raise using a jukebox at our store.